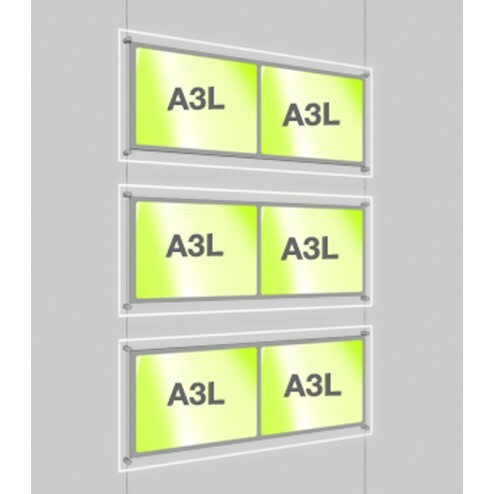 LED Light Pocket Display are comprehensively designed to offer superior quality of illumination up to 100,000 hours — ideal for a vast array of point of sales display. 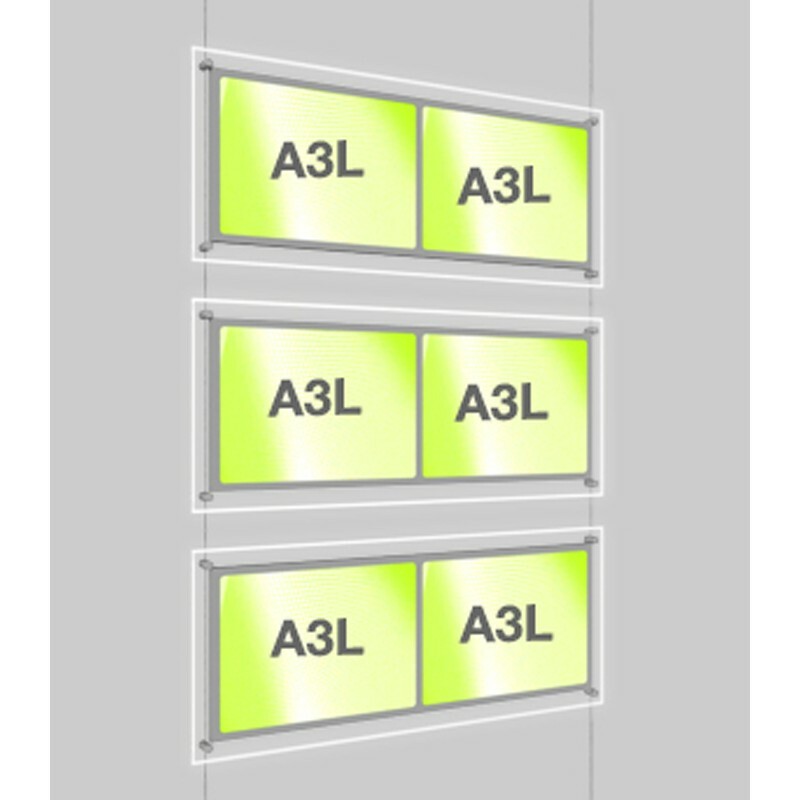 Double-sided landscape LED light panel can be an apt advertising tool for retailers, real estate agents, exhibition managers, event planners, bank owners, and more. 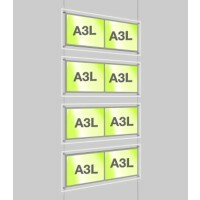 Landscape light panel kit includes three A3 double, landscape, double-sided light panel, 12 clamps and one transformer. 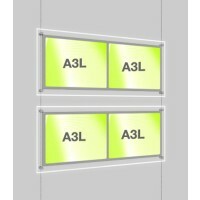 Offering high performance for long-term use, advertising screens are easy to install and maintain. 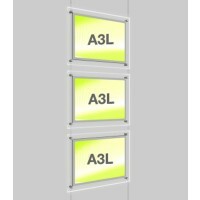 LED light pocket display offers the display space of 400mm x 277mm per graphic. 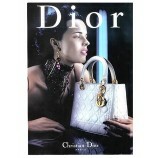 You can use standard paper or backlit paper to display your content effectively.